That’s it! First it was Burger King, then South Park. 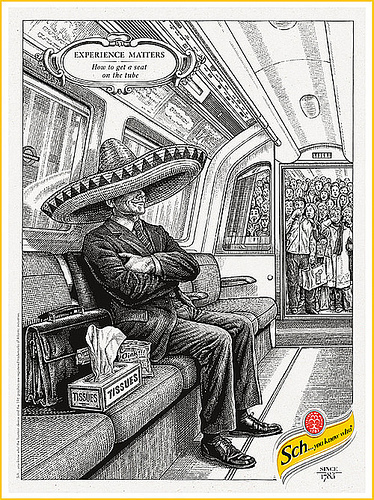 And now Schweppes is reportedly using a sombrero-wearing Mexican fellow suffering from swine flu to pitch their ridiculously refreshing beverages! Wanna seat on the tube? Grab a box of kleenex and a giant sombrero and off you go! This entry was posted in Marketing & Advertising and tagged Burger King, Mexican, Mexico, schweppes, South Park. Bookmark the permalink.